Amazon has issued another software update—for what seems like the twentieth time this year—that adds support for downloading audiobooks to the microSD card on 5th generation Fire tablets. The new software update, version 5.1.2, is rolling out to 4th generation Fire tablets as well, even though they lack a microSD card slot (Amazon seems to have forgotten this at the moment as the update pages for them say downloading to the sd card has been added, which obviously isn’t possible). To be more specific, the 5.1.2 update is available for the $49 Fire tablet, the Fire HD 6, 7, 8, and 10, as well as the 8.9″ Fire HDX. In addition to adding support for downloading audiobooks from Amazon/Audible to the microSD card, the update includes the usual “general improvements and performance enhancements”. Like always you can wait for the update to download and install automatically when connected to Wi-Fi, or you can download the update from Amazon’s software updates page and install it manually yourself. It’s good to see Amazon adding support for audiobooks onto the memory card because audiobooks are often quite large, and Fire tablets have a limited amount of internal storage space. You can switch what type of content downloads to your Fire tablet by going to settings > storage. By default, all supported content, including audiobooks from Amazon, automatically download to the microSD card, so you don’t have to do anything if you already have a card installed. 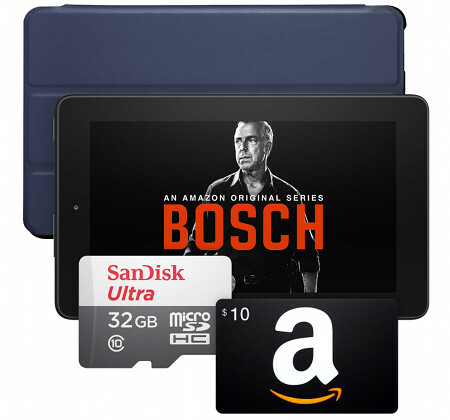 For more information about how sd cards work with Fire tablets check out this Fire Tablets MicroSD Card How To Guide. Kudos to Amazon for adding SD card support. Shame on vendors that do not support expandable storage. I installed a micro SD card a while back but my audible books are not getting stored on it. My tablet keeps telling me I have low storage but when I go to settings to try to fix it I don’t have the ability to put my audible stuff to my card. What can I do to fix this? What kind of card is it? Cheap ones can cause all kinds of problems like that.